There were great expectations for glamour at the 2017 Emmy Awards. And the red carpet delivered. Any number of stunning earring styles appeared on the stars. 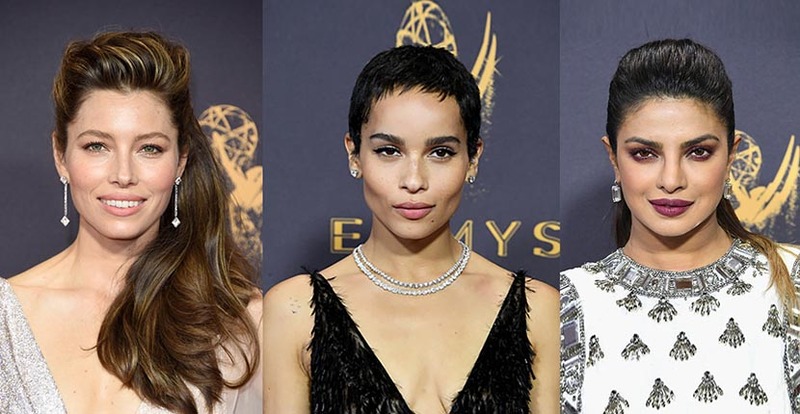 As I predicted, diamond chokers had a moment or two and lots of gorgeous diamond and platinum jewels were worn at television’s big night. Take a look at the best among the brightest below. Zoe Kravitz paired her Dior gown with several Tiffany jewels including diamond and platinum studs and two diamond and platinum chokers. The necklaces together cost $440,000. Jessica Biel sparkled in several Forevermark diamond jewels including long pendant earrings. Priyanka Chopra echoed the pattern on her Balmain gown with gigantic 62-carat emerald diamond and platinum earrings by Lorraine Schwartz. 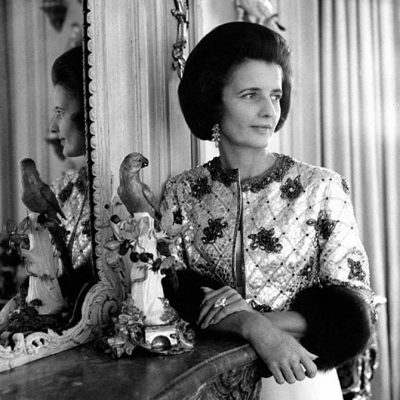 The value of the earrings as well as a 16.5-carat diamond Lorraine Schwartz ring was $7 million dollars. 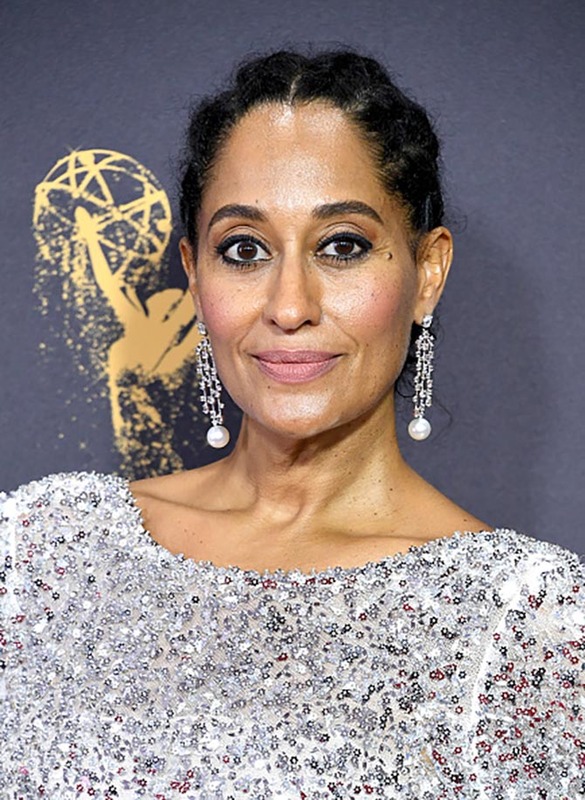 Tracee Ellis Ross matched her Chanel couture gown with one-of-a-kind diamond and pearl earrings custom made by Irene Neuwirth for the occasion. 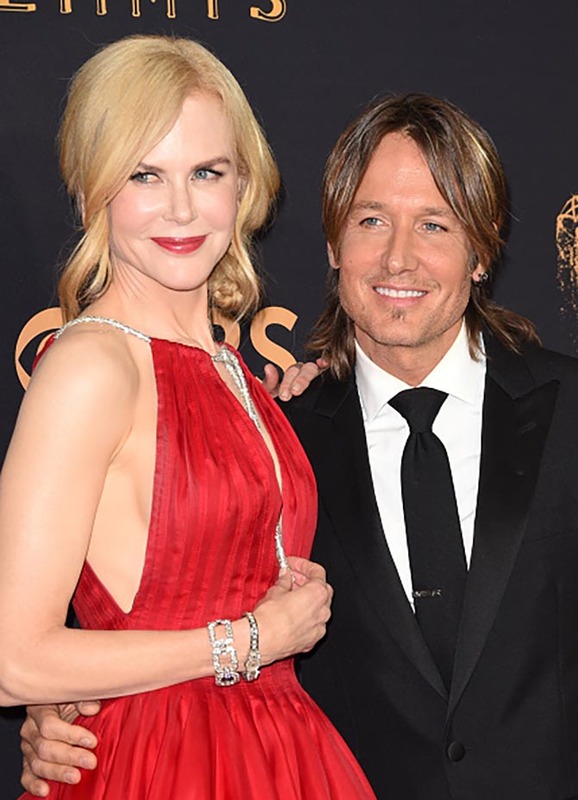 Keith Urban with Nicole Kidman who is wearing $2 million in diamond and platinum jewelry from Harry Winston as well as a vintage Omega watch with her Calvin Klein by Appointment gown. Her diamond link bracelet is set with 35.16-carats of diamonds. Her pear-shape Winston drop earrings have 13.77-carats of diamonds. 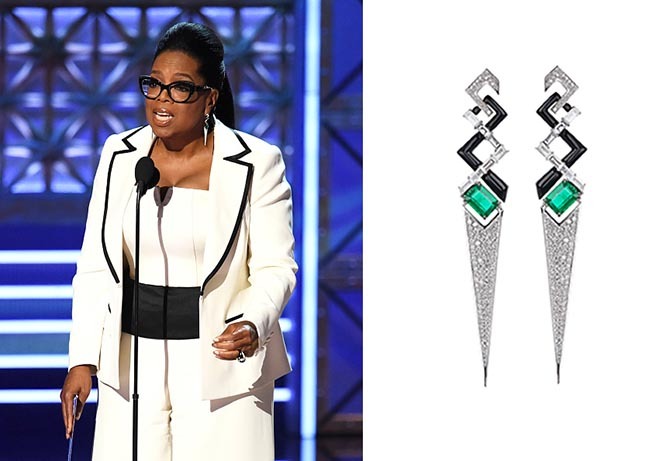 Oprah Winfrey in Total V Collection diamond, emerald and enamel earrings by Nikos Koulis and a ring by David Webb. Elisabeth Moss in Forevermark Custom two stone diamond bar earrings set in rose toned platinum designed by stylist Karla Welch. The gems in the earrings weigh a total of 8.92-carats. Mandy Moore paired her Carolina Herrera gown with in a pink sapphire choker and diamond and Morganite tear drop earrings custom made by Jennifer Meyer. Sarah Paulson paired a Carolina Herrera gown with vintage style diamond and platinum earrings from Lorraine Schwartz. Jane Fonda in a $2.5 million set of emerald, diamond and platinum jewels by Gismondi. There are over 100-carats of diamonds and 100-carats of emeralds in the jewels that were custom made for the occasion. The iconic actress is stylishly wearing the necklace backwards with her Brandon Maxwell gown. 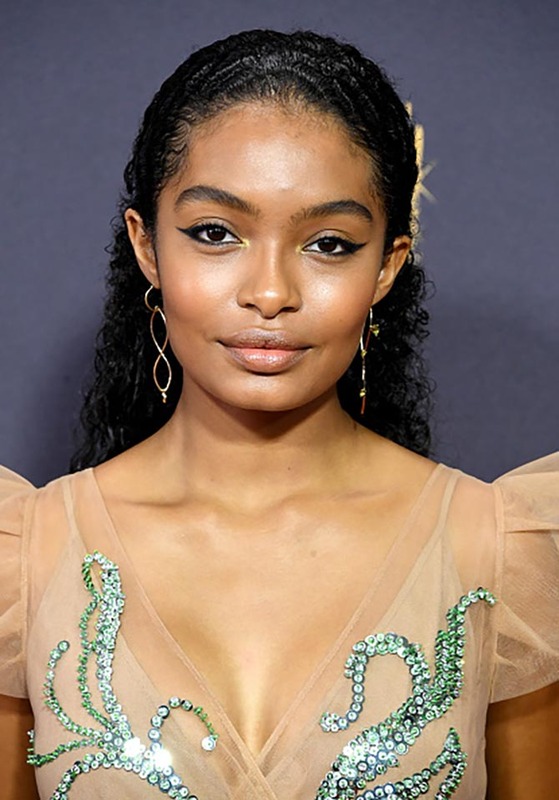 Yara Shahidi in a Prada gown and gold earrings by Paige Novick. 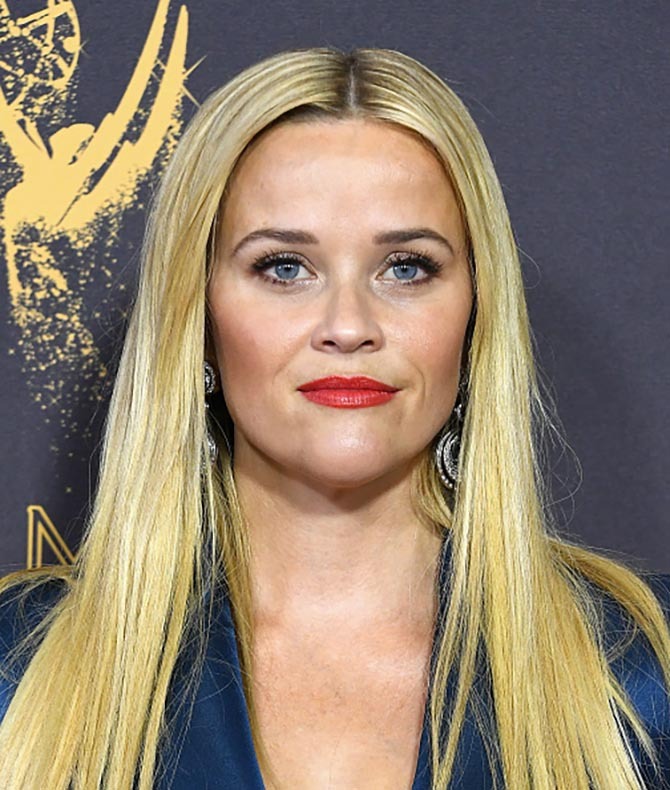 Reese Witherspoon wore a custom Stella Mccartney dress and diamond, white gold and platinum earrings by David Webb. Gugu Mbatha-Raw matched her neon Hugo Boss gown with Fluid diamonds and Serpentine earrings by Fernando Jorge. 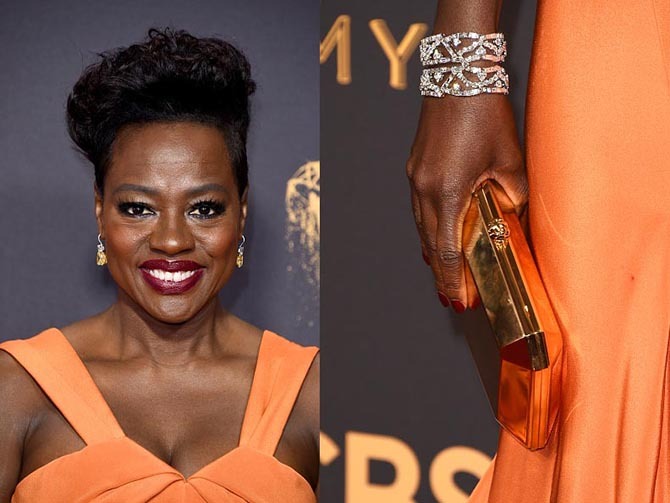 Viola Davis wore $3 million worth of jewels from Harry Winston. 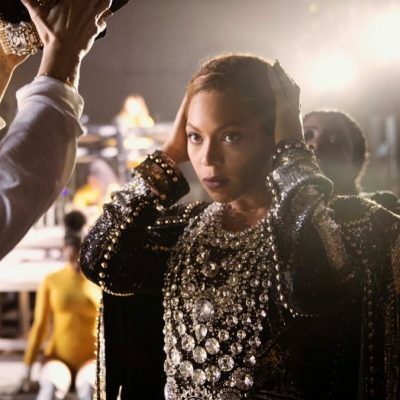 Her pieces included 29.54-carat yellow diamond earrings and a 82.14-carat diamond and platinum Caftan bracelet. The star of the The Crown, Claire Foy wore a black jumpsuit by Oscar de la Renta and 16.49-carat diamond and platinum cluster earrings by Harry Winston. Debra Messing in a Romona Keveža gown and jewelry by David Webb. Evan Rachel Wood wearing Neil Lane Vintage Couture diamond and platinum geometric earrings. Sofia Vergara in earrings by Lorraine Schwartz. Emmy Rossum in a Zac Posen gown and emerald jewelry by Lorraine Schwartz. Madeline Brewer in mismatched earrings by Djula. 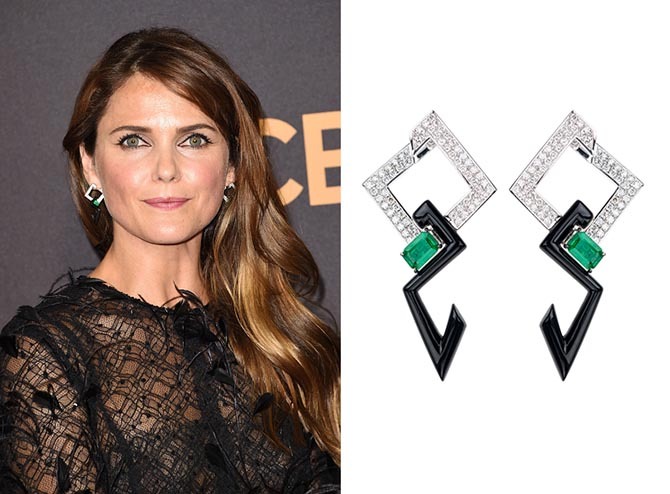 Keri Russell in Total V diamond, emerald and enamel earrings by Nikos Koulis. Yvonne Strahovski in a Juste un Clou necklace by Cartier.